Durable lined fabric carry bags for professional trapezoidal PA speakers. 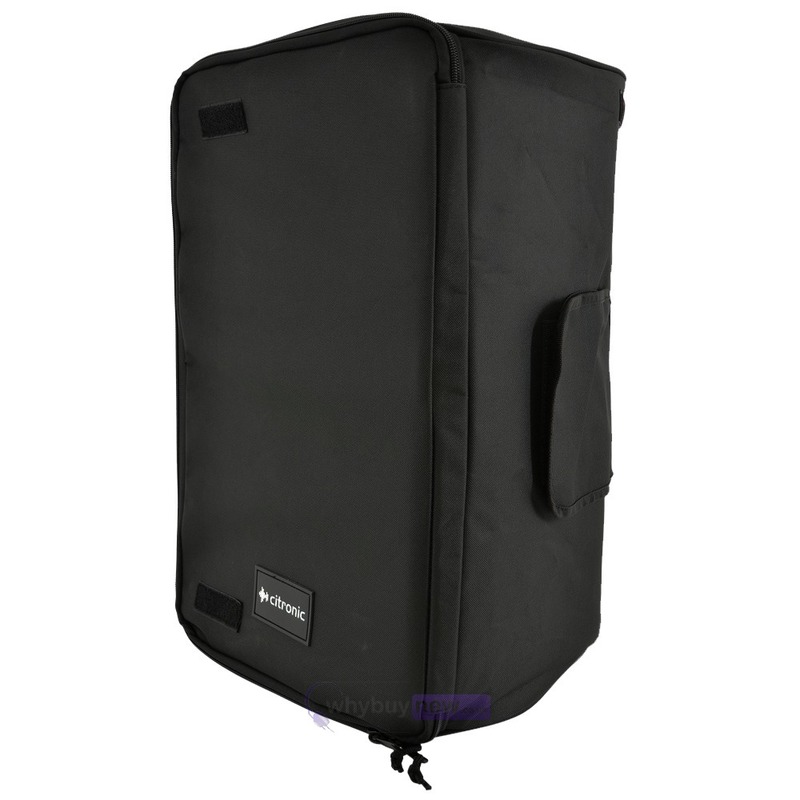 The loudspeaker can be used while the case is still fitted offering limited protection against the elements. Excellent cases. Got these for my new Mackie Thump 15s & they are perfect. Love the fact they zip all the way round for total protection & the flaps to allow you in to all the important areas are spot on. Great Item used these for the first time yesterday. Very impressed with the quality. Excellent with so much dept and detail. Good service was here within the day and in excellent condition. Spoke to one of the guys (can't recall his name) and enquired about these for my Yamaha DRX15. Explained I didn't want to spend £50 a pop on their cases. He kindly took my number, went to see if they fitted in these cases and called me back! More than happy with these guys and will continue using them! The cases are great. My old ones didn't have zips and slid on. With the Zips on the front and back. I can keep the speakers protected and just open the flaps and play away. Easy! Very pleased with this cover. It fits well and is well made of good quality material. Very reasonable price. This cover does fit the Mackie Thump 15. The side handle and rear flaps line up perfectly. The only problem is that he flap on the bottom does not line up with the top hat hole as so cannot be used while using speaker stands. 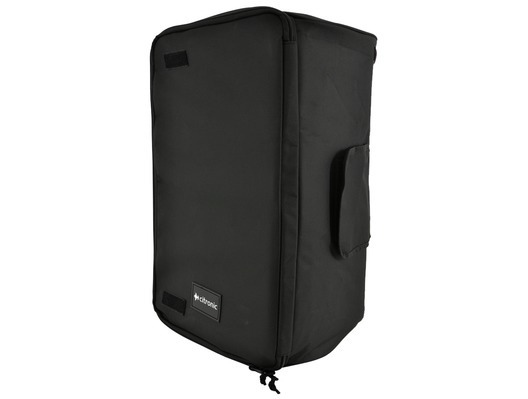 I bought this cover to try it on a behringer B812NEO and it serves the purpose well bearing in mind it is not purpose made for the job. Good strong durable material with an adequete inner lining and well worth the money to keep your gear looking new. It fits the Behringer speaker fine except that the back flap could do with extending it's opening down a little lower for this particular cabinet if one wishes to leave the covers on the cabinet during operation. Considering there are no tailor made bags for this speaker yet it is well worth buying.